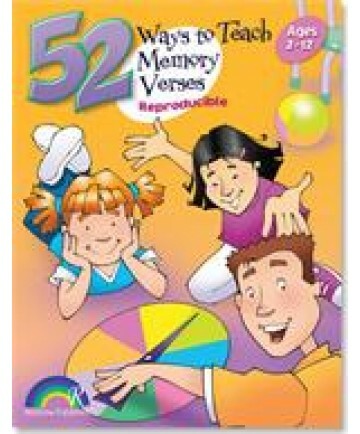 Now your kids can be successful in learning Bible memory verses! These 52 activities make the verses interesting and meaningful so kids will remember, understand and practice them in their lives. For ages 2-12. 64 pages.